Historical data without any detailed time stamping is available for analytical purposes. The data is available to Betfair members with a minimum of 100 Betfair points. The service is provided under a BETA program and may be interrupted at any time. Watching the game with your mates? Betfair is now available on your mobile, so you won’t miss out on the betting action while away from your PC. 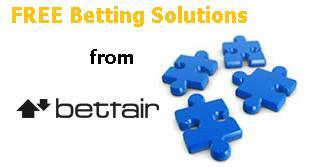 Betfair mobile is compatible with most modern JAVA phones and offers you all of Betfair’s great betting functions.